Leave a comment on THIS post by 6 p.m. CT Tuesday, March 22, 2016 to be entered in the DRAWING for a copy of the book below. If you mention in your comment that you’re a follower (see in the left sidebar “Join This Site” and “Follow by Email”), I'll add your name a second time in the drawing. U.S. mailing address required to receive a paper book. I may or may not have read books offered for giveaways. The mention and giveaway of books on my blog does not in any way indicate any manner of my endorsement of said books. Read book giveaway details at Disclaimers. To provide you security, please leave your email address like this: johnATyahooDOTcom. Winner announced in next Thursday's blog post. who served in the British Cavalry in Colonial India. Those ancestors inspired her multi-award-winning historical series Twilight of the British Raj: Book 1 Shadowed in Silk, Book 2 Captured by Moonlight, and Book 3 Veiled at Midnight. Londonderry Dreaming is Christine’s first contemporary romance set in N. Ireland, and she is looking forward to the release in 2016 of historical romance Sofi’s Bridge, and Just Like Hannah, the non-fiction account of her birth-mother experience. A busy writer and speaker, Christine and her husband make their home on the west coast of Canada. Welcome, Christine. If you could have dinner with one person from today or history (except Jesus) who would it be? Why? Since it is St. Patrick’s Day I would love to have that dear old missionary come to dinner. Patrick was one of the men most instrumental in bringing the good news of Christianity to the people of Ireland. He taught the pagan Irish the mystery of the Holy Trinity by holding up a shamrock (the Gaelic word for diminutive clover). He showed them that this tiny 3-leafed shamrock was one but it was also three, like the Father, Son, and Holy Ghost. I love to work in my garden. I have quite a large flower garden, but even in the winter it’s nice when the little birds come to call. One of the things most important to me in life is to hear birdsong. To me it’s a little touch of heaven. This verse became my life verse because one of the hardest trials I ever went through was the heartbreak of relinquishing my baby girl to adoption in 1979, and to our painful reunion twenty years later in 1999. It was through giving up my own baby that I learned about the depth of Heavenly Father’s love for us. I am currently writing a brand new 3-book series set on the Antrim Coast of N. Ireland. It is a series of books with braided points of view—one from a current day protagonist and the other from a character from the main heroine’s ancestry. This trilogy will be set in many of the places I have been to in Ireland. Please tell us a little about your novel, Londonderry Dreaming. ago, until her grandfather with his influence over Naomi separated them. Where can readers purchase Londonderry Dreaming? One commenter will win an eBook copy of Londonderry Dreaming, which Christine has offered to celebrate St. Patrick’s Day, March 17. 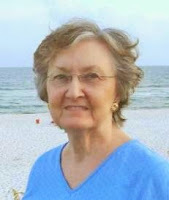 The winner of last Thursday’s blog post for an eBook copy of A Restored by Tanya Eaverson is Karen. I’ll email you. Thanks all for commenting. Watch for more book giveaways. Is it possible to enter this giveaway for an e-copy of the book? I'm asking because I don't live in the US. Yes, Maria, I can send the winner an Ebook copy of Londonderry Dreaming anywhere in the world. Blessings on you, especially an Irish blessing today. Oh and by the way I am a follower. Thanks for dropping by Stella, always a joy to meet new readers. Stella, thanks for commenting. I appreciate your following my blog! Enjoyed the interview and I would love to win a copy of the book. Thanks Ann, so glad you enjoyed getting into the true spirit of St. Patrick's Day with me. Ann, glad you enjoyed the interview with Christine. Thanks for commenting. Oh My Goodness this would b we wonderful to win. My Great Grandparents are Orginally from Ireland. So I am so in Love with anything Irish!! Your Book sounds Wonderful! That would be wonderful Justina. You will love this book. Justina, thanks for commenting. WE NEED YOUR EMAIL ADDRESS--IF YOU ARE THE WINNER, WE'LL NEED TO CONTACT YOU. Thanks. Sounds like a wonderful story! My dad's side of the family is Irish and I've always wanted to visit Ireland. Hi Kim, you would love Ireland if you ever get a chance to visit. St. Patrick's Day! Book sounds terrific, would love to read. Dianne, thanks for coming by and leaving your comment. 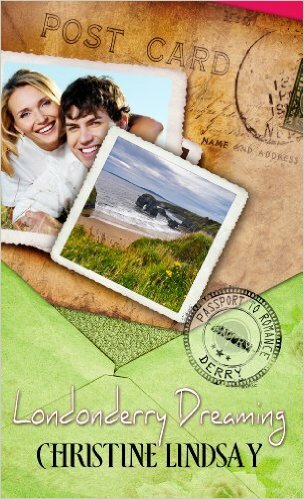 Hi Dianne, if you like a bit of Irish and beautiful scenery, as well as some Irish humor then I think you will really like Londonderry Dreaming. Whenever I read the parts that feature the secondary characters "the cousins" I laugh. They remind me so much of my own cousins. I love anything Irish! And your book sounds wonderful. I wish I had your green thumb...and I'm a blog follower. Patricia, thanks for commenting and for following my blog! Hi Patricia, you don't have to scratch too far down into my Irish soul to find good farming soil. I love to garden, and it shows up a lot in my books. I'm from Irish ancestors and enjoy reading novels set in this country. 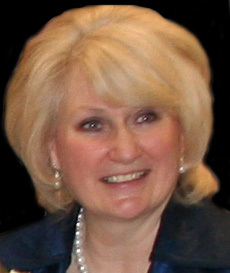 Hi Karen, the small country of Ireland sprouted a lot of great people, especially lots in the US and Canada. This is a new to me author. I love reunion romances. Have to add this to my ever growing TBR pile. Hi Heather, I hope you get to read some of my other books too. I also love reunion romance, and I also love fantastic settings. Heather, glad you found a new author. Thanks for commenting. As I was reading this blog I ran into the area of this book about an antique painting in the attic. I do oil painting so I immediately was curious about what could possibly happen from a painting. I'd love to win this book. Oh Sally, a woman after my own heart. I used to paint in oils and acrylics until I started writing. You'll love the heroine in this book, she is a very successful painter. Blessings. Sally, thanks for stopping by and commenting. Christine--an admirer of your historical novels, I'd love to read this contemporary one, especially since my husband is bent on us going to Ireland one day. I didn't know that Elaine. You would absolutely love Ireland. Hope you get there one day. Thanks, Christine. I just hope it's sooner than later :) Funny--he doesn't like to fly but he's ready to make an exception for this dream trip. I would love to win a copy of this book! I have ALWAYS wanted to visit Ireland someday. But reading about it in books has to do for now. I hope you get to visit Ireland one day Marci. You would love it. And in the meantime, perhaps you'll read some of my books. They're not all set in Ireland, some in exotic India, but aside from Londonderry Dreaming, my next to be released book Sofi's Bridge features an Irish hero. Blessings. Marci, thanks for coming by and leaving your comment. I would love to win a copy of this book. I have ALWAYS wanted to visit Ireland someday. But reading about it is the next best thing.